Whilst you may not get what you expected when you come along to my class, I will teach you Kung Fu. Not your way, but mine. I will push you in directions that may take you by surprise, and will not compromise my standards for your excuses. My classes will not change you, but will bring out parts of you (both physical and mental), that you did not know existed. Like the rest of you, I am human. In my early life I was shaped by my environment. But I refuse to accept that this determines my fate, and so my battle now is to create my future on my own terms, and it’s a battle that has room for other like-minded individuals. 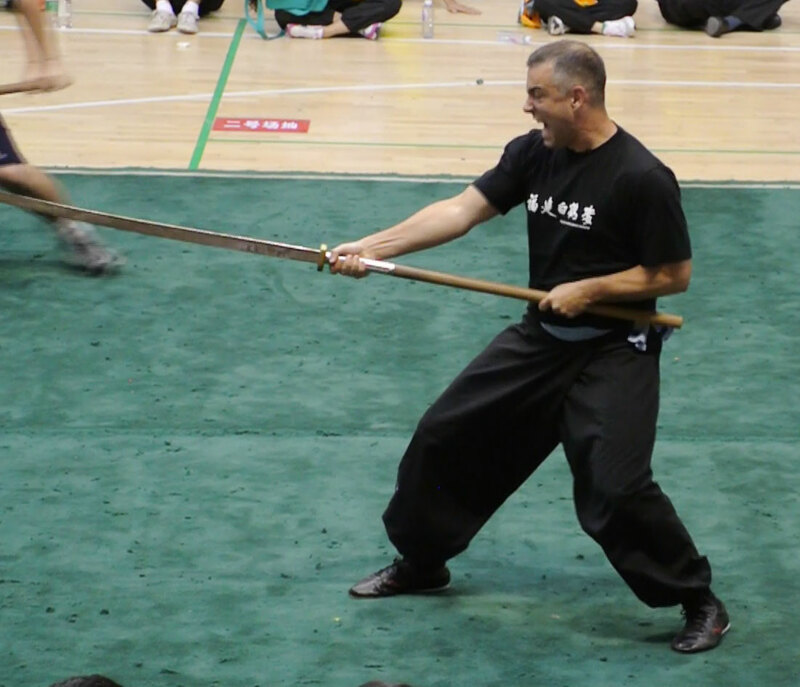 So I do understand that you have problems, but I’m really only interested in how Kung Fu can get you through them, not in how we can feel sorry for you. And lastly, please don’t put me on a pedestal – it’s pointless. I don’t want to be your hero, but I am in the business of giving people the tools to become heroes themselves. And that is worth far more to you. 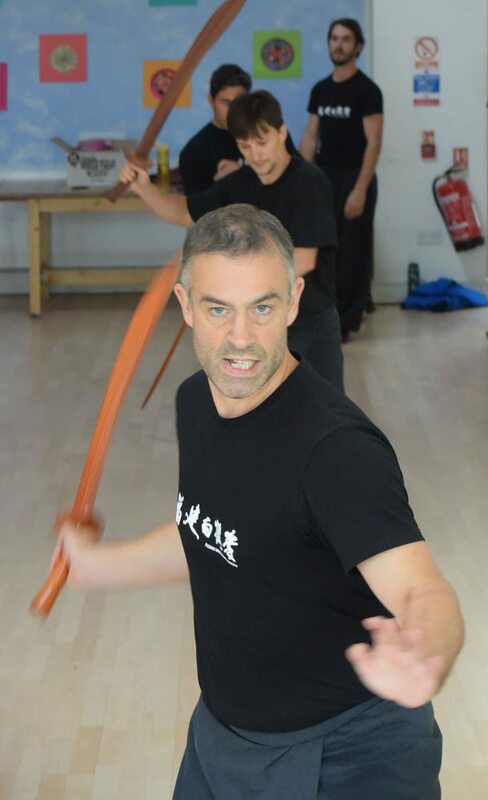 Dave has been a Fujian White Crane Instructor since 1998. 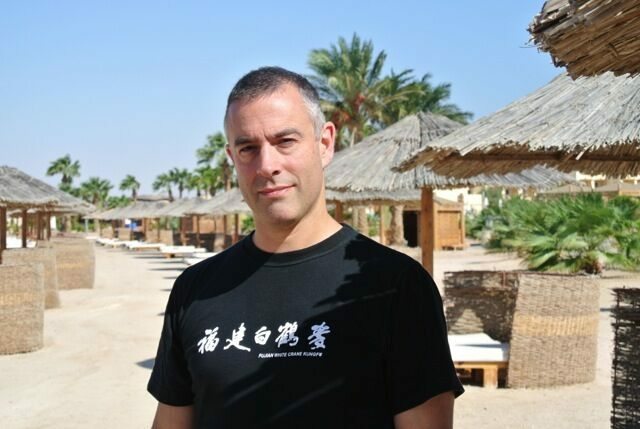 He studied Mechanical Engineering at Imperial College, London, and went on to become a Chartered Engineer before leaving his career as a Senior Engineering Manager in 2001 to teach Fujian White Crane full time. He won the title of AMA British Heavyweight Kung Fu Champion in 1992 & 1993, and in 2013 won a Gold and two Silver medals at International level in Quanzhou, China. 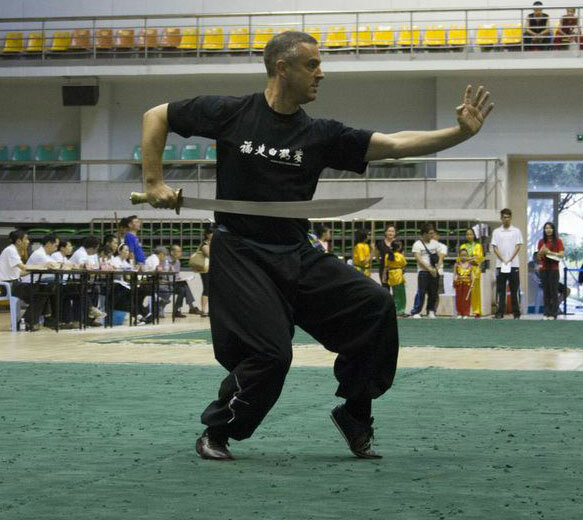 He has also been awarded a 3rd Dan Grade by the Chinese Wushu Association in China. 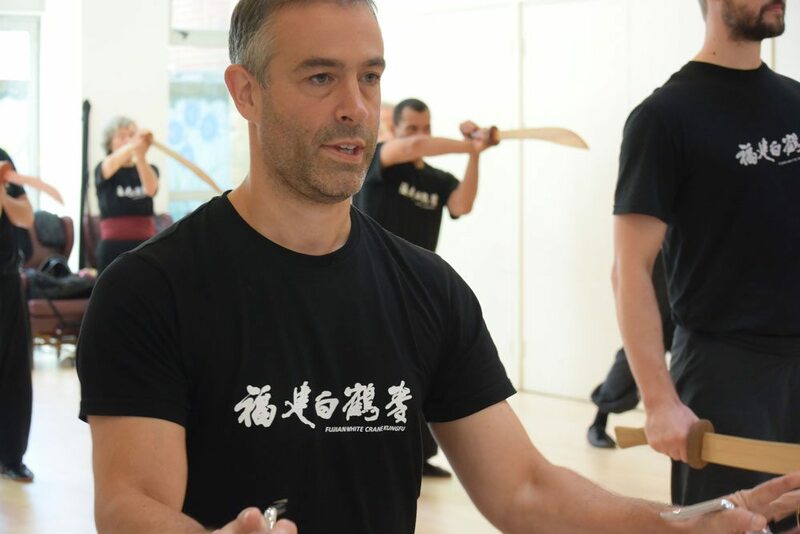 Dave lives in Kent with his wife, Kerry, who is also a Fujian White Crane Instructor, and their three children.